This is incredibly cool! Due to the cyclical nature of, you know, the laws of the physical universe, there are only a handful of different variations on the annual calendar. It so happens that this year, 2015, matches up perfectly with 1981. 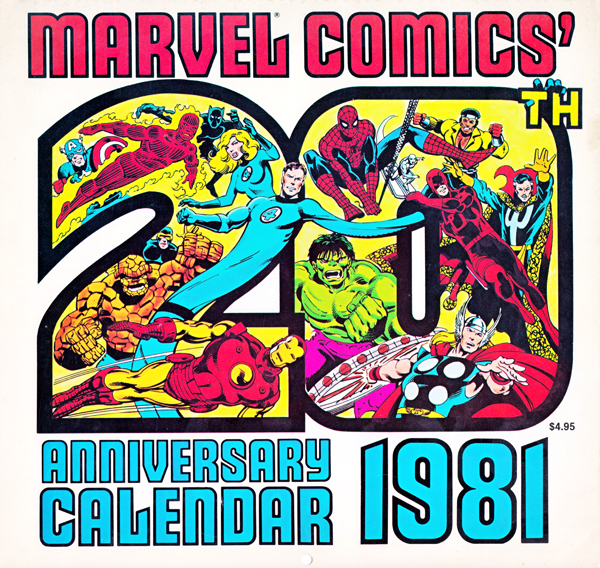 1981 when Marvel comics put out an absolutely brilliant calendar featuring all their heavy hitters. Artist Mark Anderson decided to scan the pages for his own calendar this year. Then he generously made the scans available to others (Thank you!!). Anyone want to go in on a piece for your own wall? 2015/1981 Marvel Desktop Wallpaper Calendar | Andertoons Cartoon Blog.